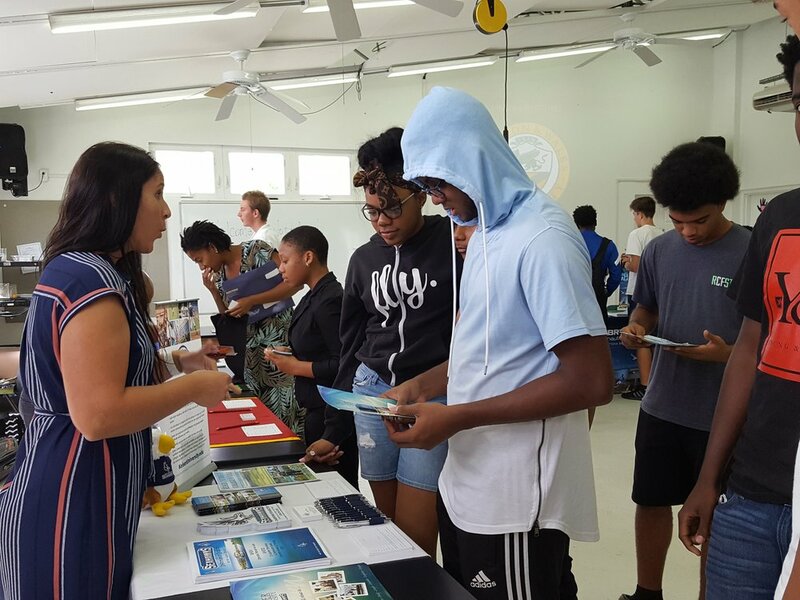 On Friday, Febryary 23rd grades ten and eleven eagerly awaited the opportunity to explore the Autopista College Fair held at Virgin Islands Montessori School & Peter Gruber International Academy (VIMSIA). Admissions representatives from various renowned schools were present ready to give out brochures and spirit gear while enlightening students about their school and available majors! Throughout the college fair, students were seen visiting schools that matched or were close to their search criteria, taking notes and collecting business cards. Participating colleges included: University of Connecticut, Embry Riddle University, University of Charleston, Tennessee Wesleyan University, Life University, Iowa State University, Keiser University, Emerson College, Johnson & Wales University, Savannah Art & Design College, Aquinas College and King University. 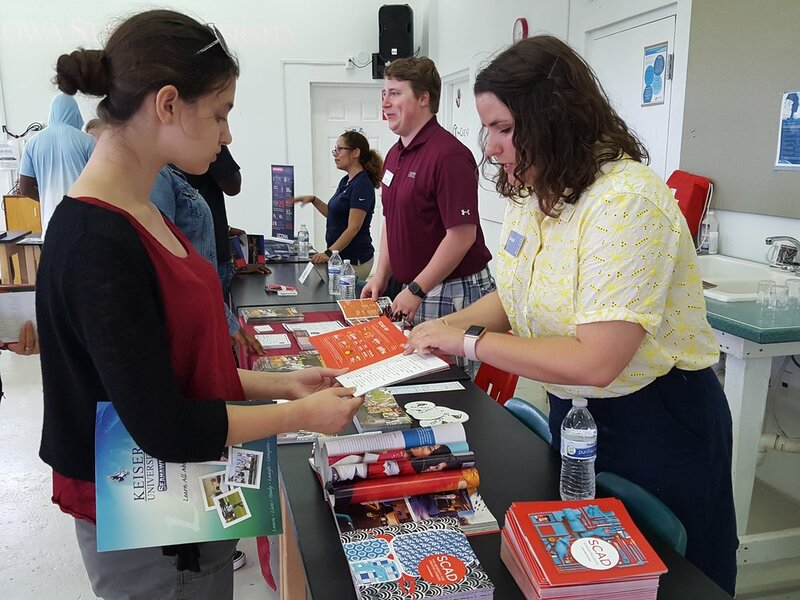 Thanks to our highly trained college counselors, college fair opportunities are widely available to Peter Gruber International Academy (PGIA) students - some hosted right on campus. "This was the most prepared group of students I spoke to on the trip!" "I got some amazing and insightful questions, I could tell the students did research!" "Your students are very respectful and energetic!" "We will definitely come back to this school next year!" Well done tenth and eleventh grade!